It’s a sad reality to know that pollution and global warming are rapidly increasing nowadays. As we learn more about the impact we can have on our environment, we become a little more aware of the consequences our actions can cause. Being eco-friendly is not an option, but rather should become a necessity. This is why many homeowners are turning to eco-friendly resources and incorporating them into their homes. It makes sense to ensure our homes are as healthy as possible because we spend so much time there. Having an eco-friendly home can have huge positive impact on your families physical and mental health, as well as the house itself. They will never be out of fashion and you’ll be saving the environment as well as your money! Insulation is the key! Poor insulation will cause heating and cooling issues in your house, which means you’ll be using more energy with the air conditioner or the heating system… resulting in wasting more money! You need to make sure that you have installed high-quality insulation which will last you a long time. Sheep’s wool and plant-based polyurethane are great for insulation and they are eco-friendly. When thinking about an eco-friendly home, try to use a combination of both new and recycled materials. 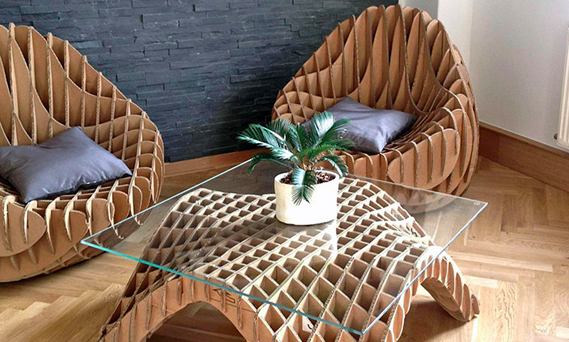 Get creative and think of ways you could repurpose used materials. Using recycled materials is such a simple way to incorporate sustainability into your home – whether it is having exposed flooring, timber posts, recycled shelves or even recycled furniture. It can add a unique twist to your space, making you stand out from others. You should be encouraged to incorporate greenery into your house wherever you can. Go beyond just having greenery in the garden. Having greenery around the house can help cleanse the air and create a healthy environment. You won’t just be improving your health, but also improving the space around you. Vertical gardens and balcony gardens are a great trend. Blurring the line between indoors and outdoors is also popular. Having big/ leafy tropical plants in your living area can bring positive energy into the room. Small changes such as saving water can result in big differences. According to the World Health Organisation, one in three people are struggling to find clean water. You can help overcome this issue by making sure you are only using the water that you need. 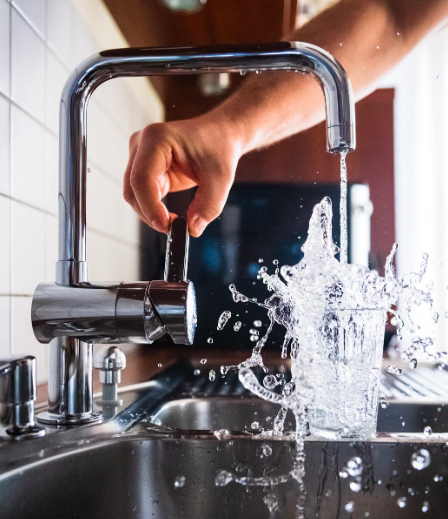 There are many ways you can achieve this such as having electronic faucets for the kitchen and bathroom which will allow for the water to be running only when it is needed, fixing any leaking taps, switching to a water-efficient showerhead, and limiting the use of the dishwasher. Thinking of building an eco-friendly home, or wondering how you can make your current home more sustainable with modifications? Get in touch with our team on 1800 184 284 or book a call today for free, expert advice!